Open box - USED and DIRTY! Soft Smooth Feel with Clarity in Audio! 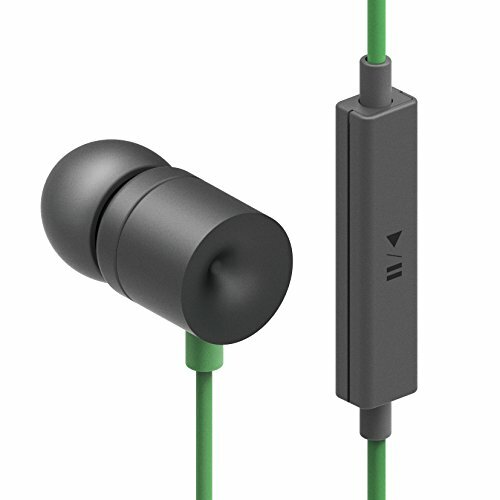 Great sub $20-$30 earphones without a doubt! 2 of the 3 reviewers have reviewed other products for this brand. While this is more Brand Repeaters than we'd expect to see, the discrepancy in ratings between the Brand Repeaters and non-repeaters isn't significant enough to rule out the possibility of it being due to random chance. We counted 3 reviews for this product over the span of 407 days, an average of 0.0 reviews per day. If these reviews were created randomly, there would be a 99.9% chance that we would see 1 or fewer reviews on any given day. We didn't find any days exceeding this threshold.